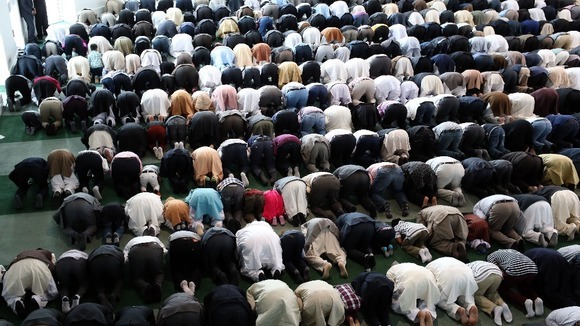 Community leaders at the largest mosque in Western Europe have lead special prayers for the Fusilier Lee Rigby, who was brutally murdered in Woolwich earlier this year. 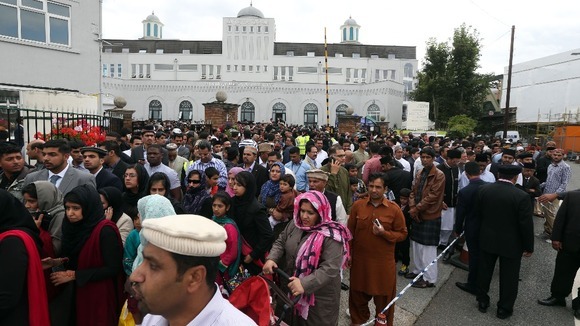 In Britain’s largest mosque, the Baitul Futuh Mosque in Morden, south London, some 15,000 believers gathered to celebrate the end of Ramadan and the holy festival of Eid. “We stood shoulder to shoulder with the British people to mourn the death of one of our soldiers,” a spokesman for the Islamic group Ahmadiyya Muslim Association UK who organised the event said. 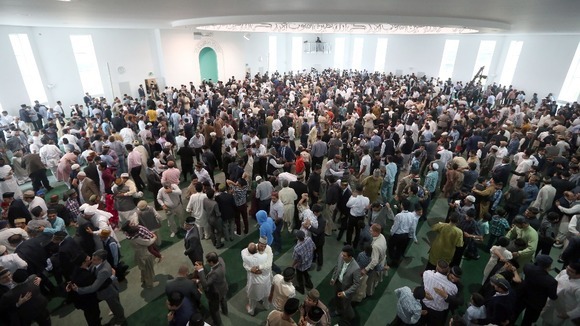 Eid celebrations to mark the end of Ramadan at Baitul Futuh Mosque, Morden.